my friend Lindsay Lancaster who is the most thoughtful, kind friend anyone could ask for is letting her thoughtfulness abound in a giveaway over here. She is the kind of friend who sends encouraging texts, packages when she saw I was down on instagram, always looks amazing in red lipstick and loves her kids and husband to the moon. She is such an encouragement to me and I am so thankful she is over here with her new biz. 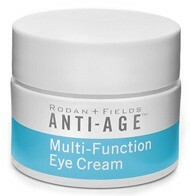 She just recently started working for Rodan & Fields and is giving away some eye cream that she swears by. Welcome Lullaby Lubbock readers! The doctors who created Proactiv® Solution are focused on aging and sun damaged skin with their latest clinical skincare line, Rodan+Fields Dermatologists. Formerly sold only in high-end retail, R+F earned a solid reputation as the number one clinical selling line at Nordstrom (before it became exclusively available through consultants like me). Beauty editors are obsessed with R+F! Check out what they are saying here. These products truly deliver results. See for yourself by viewing a few amazing before + afters here. Find out what multi-med regimen will best meet your needs here. Order as aPreferred Customer and receive 10% off and free shipping. We have a risk free 60 day money back guarantee so you have nothing to lose. Our preferred customer program is awesome- you save 10% off all products and get free Fedex shipping. It is a flexible replenishment program, but you will never get product you don't need! You can edit or delay your order anytime you want. You can also cancel at anytime with no penalty. For a one-time $19.95 enrollment, it is definitely the biggest money saver before you order? Email me at lindsaylancaster@gmail.com and I will be happy to help! R+F is NOT a “home-parties” based company and we do not stock inventory or oversee ordering. You can work in part-time hours on your OWN schedule. R+F was formerly the #1 selling clinical skincare line in Nordstrom before it became exclusively available through consultants like me. This is truly a GROUND FLOOR opportunity – and at the pace my business is growing, I am telling you….NOW is the time to jump in. People are excited to try these new products! I have seen REAL results with these products and am proud to represent such a wonderful company. 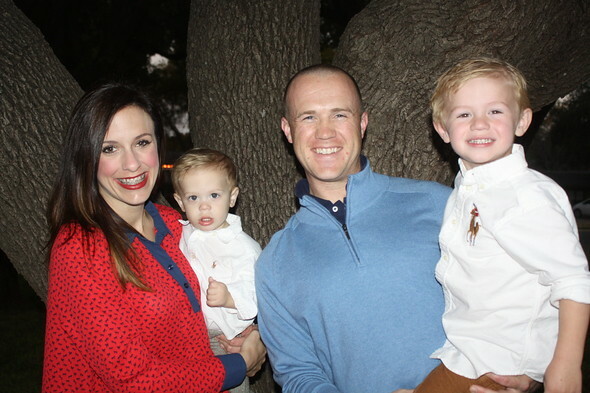 If you are even the slightest bit interested, I would love to tell you more about this business and what it has done for my family and can do for you. This truly is a ground floor opportunity to partner with two of the biggest, most respected names in the billion dollar skincare industry. Send me an email if you have questions or would like to learn more –lindsaylancaster@gmail.com. You can also visit my website at llancaster.myrandf.com. So yall check out her website and leave us a comment letting us know what R&D product you need and we will pick a winner later this week. Will this eye cream banish my black circles? HELP! eye cream & skin lightener! eye cream please!! woooo hoooo free giveaway! i need that over-night, anti aging cream!!! fo sho! love that linds! Anti age!!! Way to go, Linds!!! I need a really good moisturizer...a magic one to make this skin look prettier! I have never heard of R&F, but I use Proactive and MK. Sounds interesting. I will have to try it.